Setting up one’s brand-new home is a mixed experience for most homeowners: both a delight and a tiring endeavour. Where there is the excitement of starting over, there is also the tasklist filled with errands like ordering custom-made furniture and getting the stairway repainted. If you find yourself getting overwhelmed by the never-ending chores, you can always engage design experts from an architectural services firm in Lahore. They can streamline the pending work, so your family can start getting cozy in the new house. There is another way to bring pure joy back into the process: simply devote a day to researching and buying a beautiful new rug. There is, literally, enough rugs and carpets in the marketplace to match every possible design style or room size. Hand-woven rugs are truly a work of art in their own right. Each finished rug is the culmination of hours upon hours of dedicated work by skilled artisans. Each craftsperson ties every single knot in the rug by hand. Usually, the making of these particular rugs can take anywhere from several months to years- from start to finish. 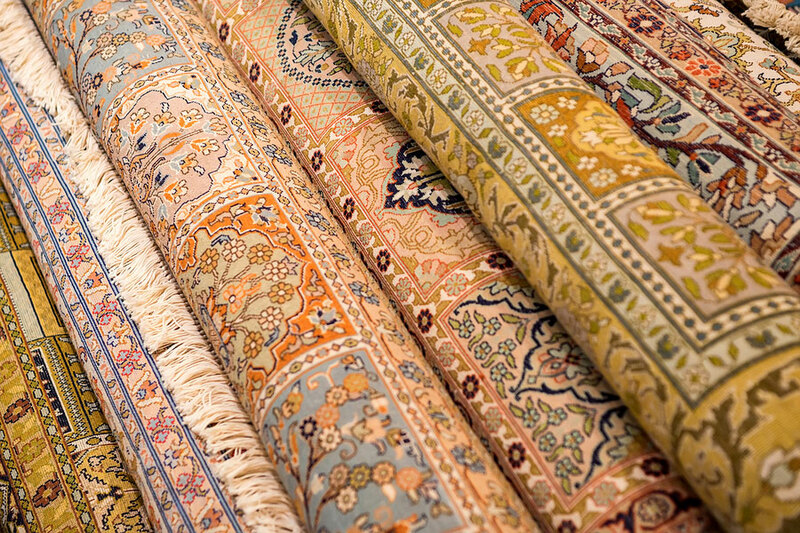 Organic materials used in Persian and oriental rugs include cotton, silk, jute, ‘live wool’ and various kinds of animal hair. Soft-to-the-touch yet heavy on the wallet, cashmere and mohair yarns are both derived from different types of goat hair. Camel hair is also used in the production of hand-woven rugs. Investing in a hand-woven rug is close to selecting a potential family heirloom. Since these rugs are solely assembled from organic materials, they have a reputation for durability and longevity. Antique hand-knotted rugs with rare designs and organic dyes can gain value over the years. On the other hand, machine-made rugs are fashioned by power looms. Situated within purpose-built factories, these computer-operated power looms are fully-automated and considerably more efficient in producing large number of rugs. Not only are machine-made rugs manufactured much faster than hand-woven rugs, they average a shorter lifespan of just twenty years. Synthetic fibers like nylon, art silk, and acrylic are used during production. Undoubtedly, the most exquisite rugs in the world originate from Iran (formerly known as Persia), Afghanistan, Pakistan, Egypt, China, Turkey, and Nepal. Each country’s craftworkers produce rugs with slight variations in design and quality. The good news is that you no longer have to hop on a jet plane to find the ultimate rug. 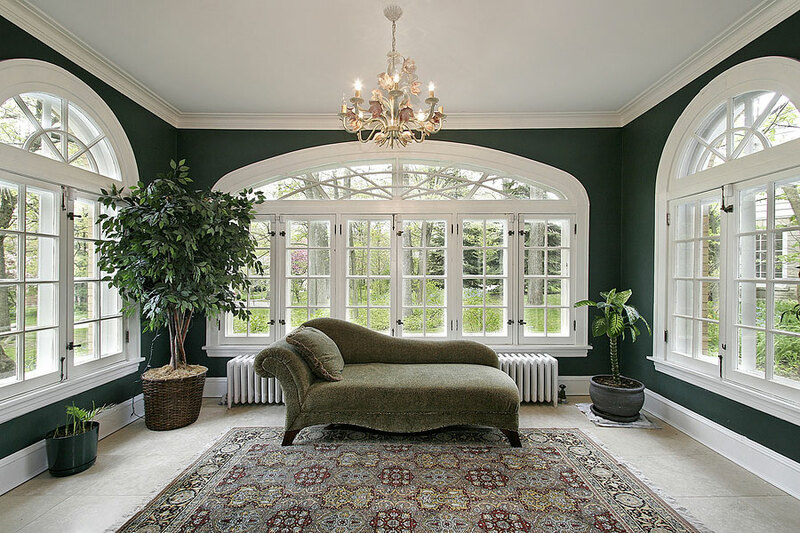 There is bound to be more than one specialty carpet and rugs store in your immediate neighborhood. If you prefer online shopping, most rug outlets and importers have active profiles on leading social media platforms like Facebook and Instagram. Some storekeepers offer customers the option to order a fully customized rug. They can specify the dye colors, the combination of designs, and even the size of the finished product. Persian rugs are recognized by their unique floral designs. They also usually have a medallion-shaped right in the center of the rug. Persian rugs tend to have a higher knot count because of the intricate designs. Some of the commonly-occurring symbols in Persian rugs include peacocks, birds or feathers, lotus, the tree of life and swords. These type of rugs average 15 to 25 colors in one piece. A team of artisans can take anywhere from 12 to 14 months to complete just one Persian rug. While historians trace the origin of Bokhara rugs back to Central Asia, modern day rugs are mostly made in Pakistani cities and regions like Lahore, Multan, and Kashmir. Bokhara rug designs are distinguished by geometric patterns and the use of burgundy-based jewel tones. As far as texture, these particular hand-knotted rugs are plush and velvety. Heriz rugs started from the town of Heris in northwest Iran. What makes these rugs stand out is the deliberate use of vibrant, contrasting colors like golds, blues, rusts, greens, deep reds and ivory. The central motif is once again a medallion but surrounded by protruding leaves and vines and at least two outlining borders. Not only do rugs add a touch of sophistication to a room, they are also excellent as gifts for special occasions. The next time you are invited to a housewarming or a wedding, head on down to your favorite rug store to pick out a present. Aside from a large-scale area rug, you can easily find gift items in the form of a welcome rug, a wall hanging and even a table runner. Even if you just met with a construction company in Lahore to begin work on your residence, it is worth your time (and money) to go rug shopping.